Do anything for an extended period of time and you come to understand that the world around you is always changing. Do it long enough and you learn to embrace the changes. Do it even longer and you realize that you were changing during that time too. When I began publishing the Weekly Review back in 2012, I was just experimenting with a topic I found immensely fascinating and for which there was very little English language discourse. When Review #100 rolled around in 2014, I knew I had stumbled into something with potential for deeper exploration, was beginning to communicate with people at the heart of anime pilgrimage subculture, and was excitedly climbing the learning curve. By the time we arrived at Review #200 in 2016, many things had changed, both in my own approach and the environment around me. I was reducing the amount of detail in the background information about each individual show and episode and shifting more of my attention to the subculture, in which I had become deeply embedded. In that period, others had also started their own English language reporting on anime locations and their own travels. When Kimi no Na wa. landed in the summer of 2016, it led to a surge in Japanese media reporting and general public discourse, which trickled into anime-specific English language media and fan discussions. Suddenly, seichijunrei had become fashionable and it seemed everyone had something to say about it. Much of this expanded public discussion was, and continues to be, superficial, but there are gems of depth and nuance in the midst of it as well. As we roll into this Review #300—which is really about 340 weeks worth of episode reviews, with the compressed issues, but a lot of material however counted—it’s almost hard to believe how different things are compared with six and a half years ago. Rights-holders have become aggressively involved in promoting anime tourism based on their properties. Local governments now often partner with rights-holders on marketing campaigns. There is much discussion of using anime tourism as a vehicle for regional revitalization across Japan. Commercialization of seichijunrei is upon us, for better or worse. Mainstream media coverage of seichijunrei in Japan has become normalized. Much of it focuses on trending stories, though increasingly there are in-depth reports that draw on the deep expertise of contents tourism researchers and participants in the subculture. English language media coverage is also growing, though at a slower rate and from a smaller base. It also tends to rely on what gets filtered through Japanese media, so coverage is patchy and generally doesn’t convey the richness of the subculture. I think there is a good opportunity for growth there. 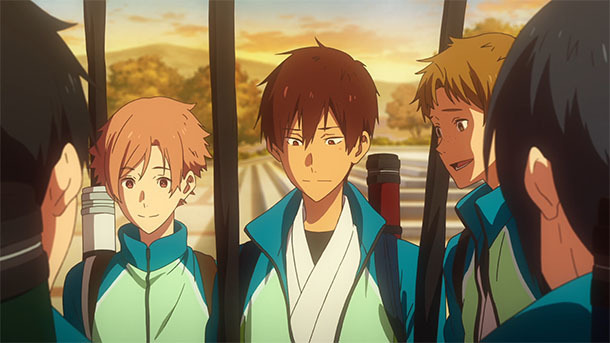 More and more fans from outside Japan are aware of real location use in anime, even if they don’t interact with the Japan-based subculture, and are adding anime pilgrimages to travel itineraries when they visit. I hope I’ve had at least some small role in helping this along. The individuals at the core of the subculture in Japan have had to consider what they want to get out of their efforts, now that there are so many more players competing for control of the narrative. Some welcome the commercialization as legitimizing what has until very recently been considered a strictly otaku, and therefore somewhat suspicious, pursuit. Others are put off by the idea of being sold to, the bypassing of the opportunity for treasure hunting, and have turned away from the heavily promoted locations. In an environment where non-anime specific websites and even traditional media organizations are producing content about anime locations, butaitanbou-sha who publish in some form or another have had to think about what differentiates their voices, which I think is a healthy thing. As for me, I wish I could say that between #200 and #300 I had done some deep meditation on the changing butaitanbou-seichijunrei landscape and how I fit into it. The reality is that I was mostly just trying to survive the second and third year of disrupted sleep with our second child. There are many things in life I can manage to do just fine without, but sleep isn’t one of them. The situation is improving now. What I wasn’t able to do in terms of concentrated critical thinking, I compensated with documentation. I documented everything. Then documented some more. Maybe I documented too much. The weekly became more like a database of anime locations, media coverage and subculture activity, often with minimal analysis or commentary. But as I get back to more explanatory writing now that I’m starting to feel like a functioning human again, I’m glad I can look back at all of the information logged and be confident that it conveys a good sense of what was happening with anime pilgrimage over that time. I hope it has been useful for readers. I wouldn’t have been able to get through that period without help. Mike Hattsu’s perpetual forward momentum inspires me to keep coming back and trying to do a little more each day. Most people know Wilhelm Donko for his terrific column on anime locations at Crunchyroll. He also talks me out of my periodic funks when I’m feeling a bit discouraged. Linda Lombardi is my hero, for pushing me to think harder, and for passing up opportunities to put out superficial or “wacky Japan” versions of the anime pilgrimage subculture story while we wait for the good ones. I always enjoy time spent with other butaitanbou-sha, but long conversations over meals with Tesra, Ebisu and Lidges have especially helped me to make sense of my observations. They also remind me that, while location use in anime was what pulled me into this topic, it was the people doing the hunting and their experiences that made me so passionate about it. There will always be new series with new locations to write about. The commercialization trend will continue to grow and adds a new element to the story. But it seems clear at this point that I should renew that commitment to telling the stories of the people that gave rise to and drive the subculture. I need to go forward and backward at the same time. Forward in the sense of observing and understanding the further mainstreaming of seichijunrei, and backward in pulling out the stories of the people who were doing it before it was cool, before it even had a name, to give context to what’s happening now. It’s too interesting a story to leave unexamined. Saga Shimbun published an article about a special program broadcast January 14 on TVQ Kyūshū Broadcasting, featuring Hondo Kaede, the voice actor for Zombie Land Saga main character Minamoto Sakura, introducing Saga Prefecture seichijunrei locations from the series. Nishi Nippon Shimbun published an article by a reporter who toured Zombie Land Saga locations in Karatsu, Saga Prefecture and observed seichijunrei visitor behavior. Sankei Shinbun published an article introducing contents tourism researcher Okamoto Takeshi (岡本健) and his new book, Seichi Business: The Era When Pop Culture Becomes a Tourism Asset (巡礼ビジネス ポップカルチャーが観光資産になる時代). A seminar on Saitama Prefecture’s contents tourism strategy featuring local officials, a Keiō University business professor, and contents tourism expert Kakizaki Shundō (柿崎俊道) will be held January 30 at the Ichibanchō Incubation Center in Chiyoda Ward, Tokyo. 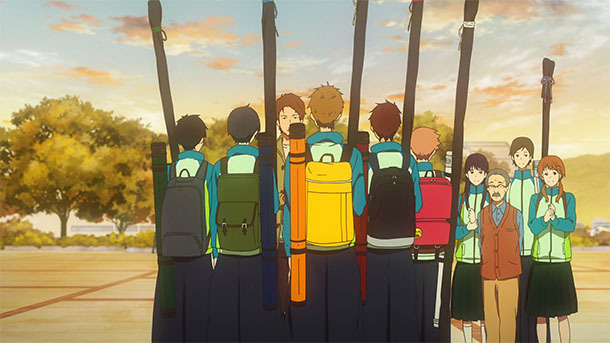 @gfi59 published a report (part 1, part 2) on the Tamako Market and Tamako Love Story showings at Demachiza, the small and independent cinema in the Demachi Masugata Shōtengai in Kyoto. Izu Shimbun published an article about an organized bus tour of Amanchu! locations in Itō, Shizuoka Prefecture. Anime Tourism Association (press release) and Record China (article) published stories about a partnership between the Association and Mafengwo—a Chinese travel website featuring user-generated content—to provide resources for Chinese tourists interested in seichijunrei. Anime News Network published an article about the updated Anime Tourism Association exhibit at Narita Airport. Fans of Irozuku Sekai no Ashita kara gathered for an offline meeting at the Mori no Majo Cafe in Nagasaki. The location is used as the model for the magic shop in the series. Butaitanbou Community (BTC) member @keihi49 organized the event, including booking the cafe for the day. Many BTC members and seichijunrei enthusiasts traveled from out of town on the extended weekend holiday and toured Irozuku locations around the city together following the meeting. @hikaru_taberu made a pilgrimage to the Lake Suwa service area in Nagano Prefecture for Episode 11. @UiHanTan (post), @NONBIRlw (tweet 1, tweet 2) and @hi_ppopotamus (tweet thread, tweet 2, tweet 3) made pilgrimages to Nagano City, Nagano Prefecture for multiple episodes. @habusan made a pilgrimage to Numazu, Shizuoka Prefecture for Love Live! Sunshine!! The School Idol Movie Over the Rainbow. 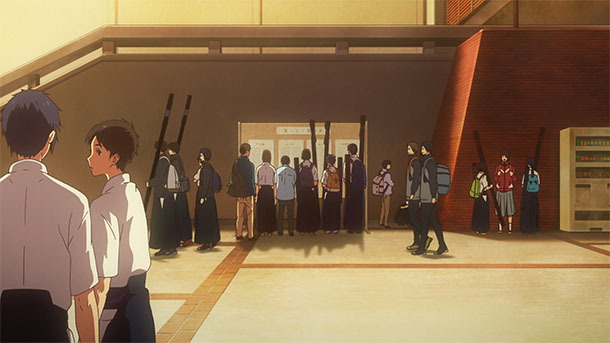 @touyoko_com made a pilgrimage to Kanazawa, Ishikawa Prefecture for Seishun Buta Yarō wa Bunny Girl-senpai no Yume o Minai Episode 13. @donko824 made a pilgrimage to Kamakura, Kanagawa Prefecture and Kanazawa, Ishikawa Prefecture for Seishun Buta Yarō wa Bunny Girl-senpai no Yume o Minai. @tsumuri_f5 made a pilgrimage to (post 1) Karatsu and Imari, and (post 2) Ureshino and Saga City, Saga Prefecture for Zombie Land Saga. @donko824 made a pilgrimage to Kiyose, Higashi-Kurume and Nerima Ward (all Tokyo Metropolis) for Yagate Kimi ni Naru. @flyingbird1124 made a pilgrimage (post 1, post 2, post 3) to Kyoto for Kyōto Teramachi Sanjō no Holmes. @flyingbird1124 made a pilgrimage to Uji, Kyoto Prefecture for Liz to Aoi Tori. @n_natsuki0623 made a pilgrimage to Sapporo, Hokkaidō Prefecture for for Eiga Chūnibyō demo Koi ga Shitai! Take On Me. @offtama made a cycling pilgrimage (post 1, post 2, post 3) around Shizuoka Prefecture and Yamanashi Prefecture for Yurucamp. As always, Tama’s photography is wonderful. @fureshima2223 published a report on the Yurucamp paraphernalia exhibit at the Tomisato post office in Minobu, Yamanashi Prefecture. @tianlangxing made a pilgrimage (post 1, post 2, post 3, post 4, post 5) to Fujisawa and Kamakura, Kanagawa Prefecture for Just Because! @NeoVenezia2301 made a pilgrimage to Odawara, Kanagawa Prefecture for Love Live! and Love Live! Sunshine!! @yomikatajiyu made a pilgrimage to Tokyo for Kimi no Na wa. (Your Name.). @yomikatajiyu made a pilgrimage to Shinjuku Ward, Tokyo Metropolis for Koto no Ha no Niwa. @zel_life2000 made a pilgrimage to Ōarai, Ibaraki Prefecture for Girls und Panzer. @yomikatajiyu made a pilgrimage to Shinjuku Ward, Tokyo Metropolis for Toaru Kagaku no Railgun. @yomikatajiyu made a pilgrimage to Gōtokuji Station in Setagaya Ward, Tokyo Metropolis for Byōsoku Go Senchimētoru (5 Centimeters per Second). Oh wow thank you! That’s one of the nicest things anyone’s ever said about me. I can’t thank you enough for working with me. Here’s to more in the future!